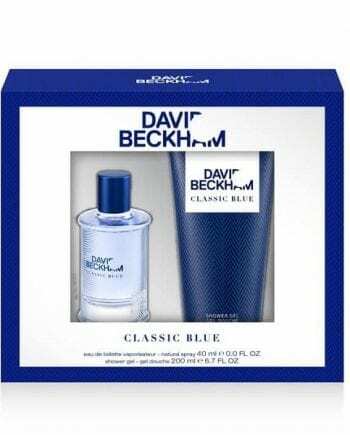 Beckham Classic Eau de Toilette Gift Set. 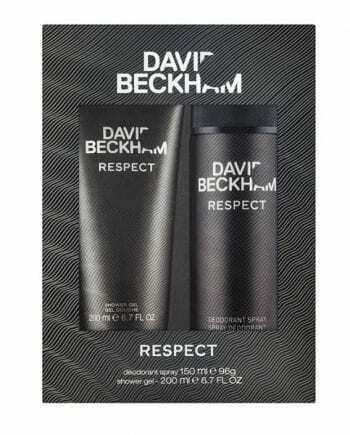 Classic by David Beckham is a contemporary masculine Eau de Toilette that embodies the classic elegance in a modern style. It has top notes of Gin Tonic Accord, Albanum and Lime. The heart notes are Cypress Orpur, Nutmeg and Fresh Mint and base notes are Texas Cedarwood, Amber and Vetiver. The fragrance blends traditional tailoring with modern flair and defines the modern man much like the iconic soccer player. This Gift Set includes an Eau de Toilette 40ml Spray and Hair & Body Wash 200ml.